This week, we stay just a bit longer under the sea, exploring the much lauded Bioshock 2 DLC, Minerva's Den. 2K's final journey into Rapture may just show other game developers how to create stand-alone additional content that puts other full length titles to shame. - How does Minerva's Den compare to Bioshock 2? - How does Minerva's Den compare the DLC from other recent games? - Does this game make you more excited/hopeful/concerned about Bioshock Infinite? Well guys, I haven't gotten myself to the store to get myself more MPs, and wasn't sure if Minerva's Den was well worth it. Despite being a fan of the Bioshock titles, I was weary of the DLC and how it would add or take away from the game, but I will surely have to give a try now after listening to the podcast. Cheers. 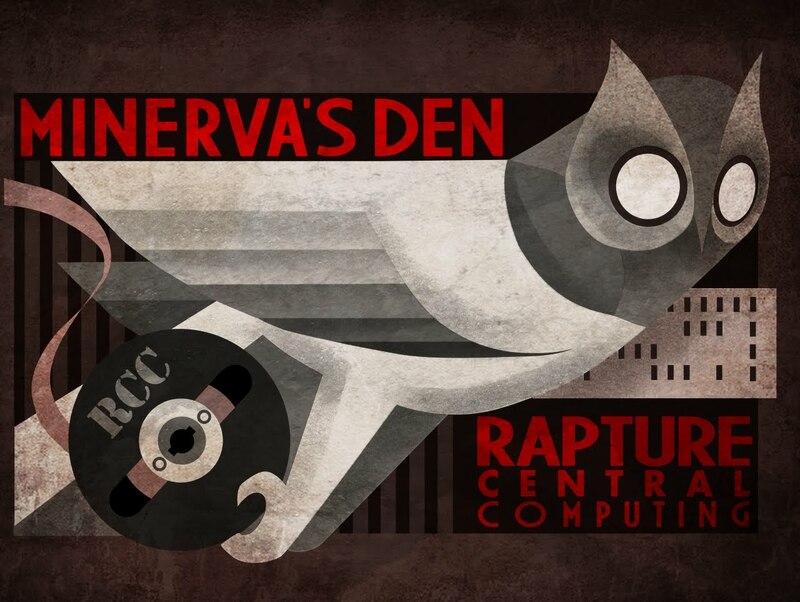 Minerva's Den really closes the circle of Bioshock: Rapture. I'm really awed by how well it's done, and by how well it manages to deliver a sort of micro-expericence of "all things that are cool about these games rolled into 3 hours of sheer gameplay joy". I don't think there can be any meaningful return to Rapture after this. With Minerva's Den's end, the story of Rapture is finished. In very moving, touching and rarely seen moment in videogames. I was in your exact shoes before I played it, so I hope you enjoy it as much as I did! I'll be interested to hear your thoughts. I actually loved the new gravity well plasmid, especially when you were able to use them as traps. When gathering Adam, I usually used cyclone traps, but I switched that out with the gravity well. It had the ability to capture more than one splicer in its vortex and lasted longer than tossing them in the air. I was surprised than neither of you chose to upgrade the gravity well a 3rd time. With the inclusion of acid not only were your enemies suspended in air for some time but being damaged as well by the acid. This plasmid could really turn the tables of a battle when I was overwhelmed. After listening to your last podcast about Bioshock 2, I decided I wanted to try using just the drill and plasmids with that tonic. Like you said, it didn't become available until later in the game, but I took it up anyway and paired it with the vampire drill tonic. I ended up going through the ending with this set up and while it was a challenge, I greatly enjoyed it! I actually was starting to feel that the game was becoming too easy. So being limited to the drill and plasmids forced me to change my game-plan and think more strategically. Thanks for the idea, and great podcast!